Pebsclassics are classic car enthusiasts that specialise in selling car parts for vehicles that are classed as classics today or those that might become the classic cars in the future. Being classic car enthusiasts ourselves we get enjoyment from our work. 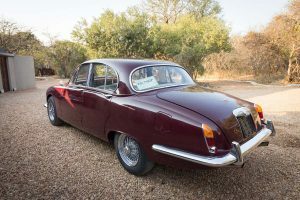 We have many years experience in classic car restoration both on the mechanical and bodywork side and therefore understand the needs of our customers. We carry a wid range of products which cater mainly for cars produced around the 1950’s 1960’s 1970’s and 1980’s. The items range from all vehicle areas including engine and suspension components through to body parts. In addition we have items for commercial classic vehicles. Our stock is constantly changing as we endeavour to locate new old stock items that might be useful to our customers. We will be having an online shop soon but in the meantime we have ebay. In time the range of classic car parts will be on this website and will expand as we will continue to make it easier for you to locate the part you require. Please call between the hours of 8.00am and 5.00pm on weekdays.